What we choose to do in our spare time determines the lessons that inform our lives and values. Those who choose to invest their time in sports are bound to learn about teamwork while those who choose to explore music expose themselves to a different subset of life lessons, many of which will help mold them into a better person. Here are a few life lessons your child will learn while enrolled in guitar lessons in Philadelphia. 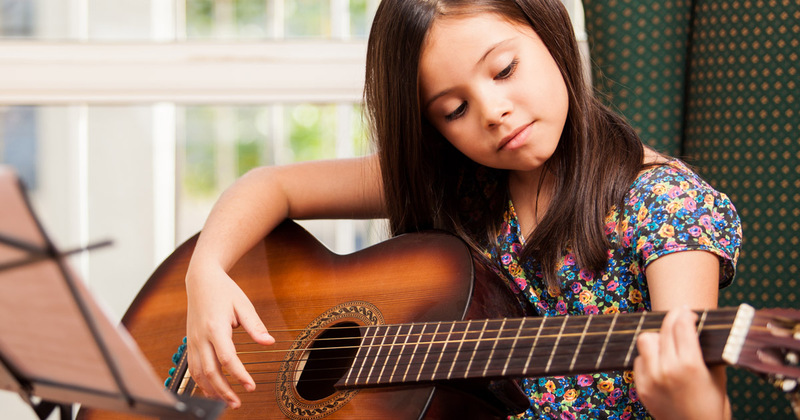 If your child loves playing the guitar and dedicates a lot of time to perfecting the instrument, they might eventually become one of the best players around. A hard lesson learned for those who are praised at how good they are is understanding that they didn’t get there without the help of others. Some of the most loved guitarists today are regarded because they treat others with respect. Hard work leads to success, and guitar students know this more than anyone. Hard work truly pays off in the world of music. Enrolling your child in guitar lessons is a great way to help them learn this valuable life lesson. Studies show that music students tend to be more disciplined and motivated than their friends who don’t take lessons and instilling those values in your child is just one of the many benefits of music lessons. Plus, these lessons will carry on through their adult life. Another important life lesson to be learned with guitar lessons is the idea that making mistakes is okay. Mistakes are an essential part of growth. As your child sees failures gradually turn into wins, they will begin to realize that nobody is perfect and everybody makes mistakes. Perfection in any area of life is almost never achieved without facing bumps in the road, and learning this lesson will help your child become a better student, friend, and future employee. How someone interprets something is one of the things that makes music so beautiful, no two ears or minds are alike, and what one person enjoys listening to another might hate. This concept will help your child keep an open mind when it comes to respecting the opinions and ideas of others as some of their classmates and friends will enjoy listening to and playing the same music as they play and others won’t. Neither person is wrong. The importance of this concept is one that will extend into other areas of your child’s life. Enrolling your child in guitar lessons will help them learn how to set realistic goals, as most guitar teachers will encourage your child to set short-term and long-term goals in the classroom. Music is very goal-oriented, in fact, it’s almost impossible to succeed without setting goals of all sizes along the way. Give the gift of the guitar to your child and start giving them life lessons that they will take with them in the future. In the Philadelphia area, be sure to sign up for lessons with David Joel at the David Joel Guitar Studio.